Hope springs eternal, and sometimes our hope is rewarded. In the case of the murder trial of the abortionist Kermit Gosnell, the hope was not only that he be tried and convicted for his heinous crimes, but that the national media would rise above its prejudices and actually report on his murder trial. As to the former, he was arrested in January 2011, and his case went to trial in Philadelphia this spring. On May 13, 2013 Gosnell was found guilty by a jury of first degree murder and an assortment of other felony crimes. He will now spend the rest of his life in prison. Justice was served. As to the media coverage, journalism was served poorly. It was by no means an example of a robust and independent press, which is because the ideologically driven national media generally is no longer robust and independent. Coverage was virtually nonexistent except for Fox News and the Wall Street Journal. 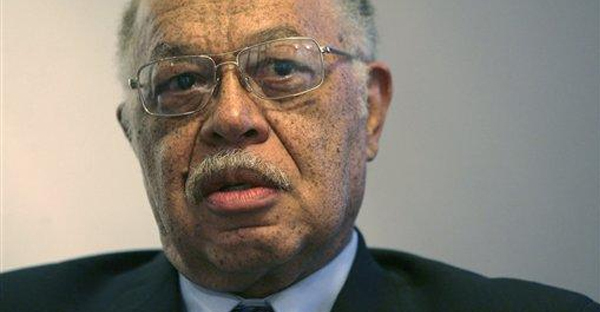 Although as the trial was concluding there were bits of coverage by some national news organizations, allowing the general public to learn at least something about Kermit Gosnell, the bloody abortionist. Actually, what people learned is that Gosnell is simply a serial murderer, even under our current expansive abortion laws. He pulled babies out of their mother’s wombs and killed them. He stabbed them, cut their spinal cords, and left them to bleed to death on tables and in boxes in his office. In the process of killing children, with conscious neglect and reckless disregard he killed one or more of the mothers of his infant victims. The case has been reported and analysed in many Catholic and evangelical journals, papers and blogs. But there are a few points that should still be made. Reminders, if you will, of old truths. The conduct of Gosnell and all of his many enablers, protectors, and supporters is a demonstration of evil, but it also reminds all of us of the human condition that we share with the likes of Gosnell. We are all susceptible to evil because we have original sin and live in a fallen world. Furthermore, it’s not over till it’s over. This is our condition and we must deal with it until death. If one’s soul can be saved on his death bed, it can surely be lost on the way to and even on that same death bed. The other part of this is that we need support to face off the temptation to corruption, We need laws which support our efforts to keep the good in our hearts from being overcome by the evil that lurks there. There is surely grace, but God’s grace is not manifested only in some immaterial way, but in the flesh and blood lives that we live. Laws based on God’s natural law — based on the truth — are a manifestation of His grace in our war with evil. They are intended to be used to make us better human beings, to help keep our hearts and souls from being made toxic with the poison of the evil with which we all live. They are intended as well to build a more peaceful and just society. Without such laws based on truth we risk moral anarchy. What is right and what is wrong becomes changeable at will. Truth has no independent status, and is replaced by mere expressions of power. It is “right” and not “wrong” because we say so, and because we have the power to enforce our will. 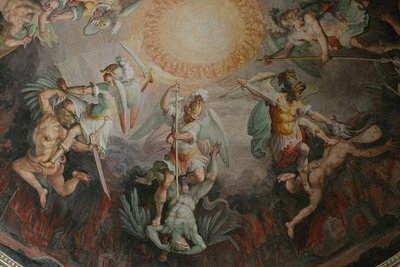 Law becomes the instrument of evil and death instead of the bulwark against the unjust and the immoral. That is what Roe v. Wade did. The will of the powerful struck down a criminal law based on natural law that protected innocent human beings from wanton killing, and declared that one group of human beings could, with impunity, kill another group of human beings merely because they want to do it. It was an expression of power that proclaimed that good is evil and evil good. 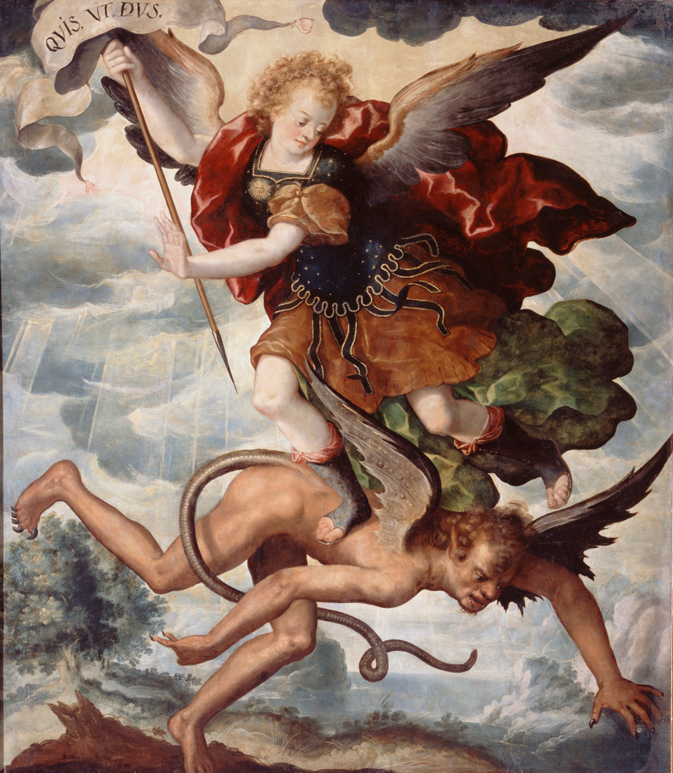 Roe removed a legal support for the internal battle against evil. It tore down a moral sign in our society that reminded the emotionally desperate and the morally weak, and the lustful and the greedy: “Stop. This is evil. This is a line that decent human beings should not cross.” The legalization of abortion was an invitation to cross that line that should not be crossed, an invitation for evil in the human heart to take control. So Gosnell’s heinous crimes should not be surprising, and in fact they are not that rare in the blood trade of abortion. Even if evil cannot be totally eradicated from the human heart it must be kept a bay. Where man allows evil to take control of his heart there will never be enough power, money, and blood to satisfy evil’s appetite. The Supreme Court justices who signed off on Roe lied about many things. About the humanity and the dignity of the unborn. About the injury, physical and psychological, to the woman having the abortion. And they lied about this too. When evil is let loose, like an atomic reaction, it will destroy with murderous and uncontrollable power. With legalized abortion, the progressives told the world, there would be no more multitudes of unwanted children from unwanted pregnancies, child abuse would be virtually non-existent, and marriages would become stronger. And, they added, abortion would not be used for contraception, only the remedy of last resort when contraception failed. Roe let loose currents of evil such as we’ve seen in Philadelphia. Those currents have flowed throughout the arteries and veins of our society with ever-increasing demands for death and violence, and proved the mendacity of Roe’s devotees. There still are multitudes of unwanted children: beat up, starved and neglected. Marriages have crumbled in deceit and selfishness. Stable marriage is becoming more rare. Abortion has become another and all too common method of contraception. Moreover, in the years since Roe, abortions have been done later and later. The “simple abortion” of a baby in the first trimester was not enough. Twenty-six weeks. Then thirty weeks. Thirty-five. Then just born. The flesh is weak, the taste of evil too powerful, and the money too good! The individuals who promote unlimited freedom, even the killing of one’s own children as the price of personal freedom, power, and material wealth, could never reasonably have expected abortion to stop at the womb. And they cannot be shocked with Gosnell’s crimes and the crimes of others like him. 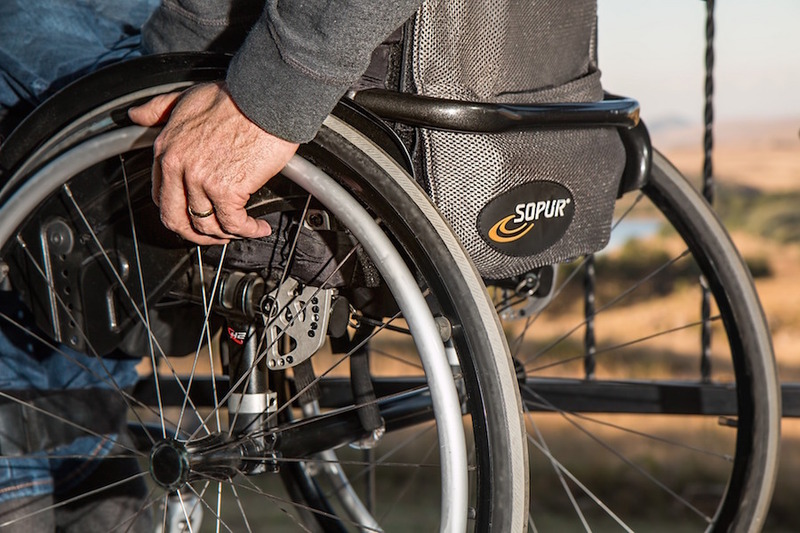 At its core Roe stands for the proposition that the state can decide that certain human beings are not human beings entitled to human dignity or to the protection of their lives under law. But if the child in the womb is not human and entitled to human dignity, the child outside of the womb has no claim to human dignity either. Indeed, so long as abortion is legal it is not farfetched at all to assume that it will ultimately be licit to kill a child at any age if the parents so choose, and if the child is disabled and a drain on the public treasury maybe even if they don’t choose it. As Princeton University’s well known tenured professor of ethics, Peter Singer, argues, there is no fundamental right to life for a child whether in the womb or after birth. The unborn child’s life is always dependent purely on the will of the mother. The life of the child who has been born depends on the will of his parents or maybe the state or someone else who can discern whether the child’s life has sufficient quality to avoid execution. Dr. Singer’s prominent position at Princeton offers not insignificant proof that among many of the elites of academia he is not seen as some isolated crank in his views of disposable human beings. Kermit Gosnell’s violence and deception is the ripe fruit of the arrogant hubris of people like Professor Singer who willfully misread the human condition and the need for laws based on natural law. It is proof of the bifurcated human heart in which good is conjoined with evil that must be kept at bay with constant attention and the grace of God. And it is clear and convincing evidence of what happens when it is not. One final point and a sub-story of the Gosnell case, but central to understanding how Gosnell was able to murder women and children at will for so many years. It is yet another Catholic angle in the bloody saga of abortion in America. Tom Ridge is a Catholic who was educated at St. Andrews Elementary School and Cathedral Preparatory School in Erie, Pennsylvania, but he is a fervent advocate of legal abortion. When he became governor of Pennsylvania he stopped the state’s annual inspections of abortion clinics, including that of Kermit Gosnell. He said that he did not want to interfere with a woman’s right to choose. It was noted in the report of the grand jury that indicted Gosnell that Ridge’s neglect may well have been one factor that allowed Gosnell the uninterrupted opportunity to commit his crimes. The grand jury also said that Ridge’s office had received numerous complaints of over prescription of pain medication, lack of sanitation, underage girls receiving abortions, unlicensed workers, and unsupervised sedations, but failed to take action. Ridge chose ideology over justice and his Catholic faith, and murders of women and children resulted. Next Article What is Apologetics? Another interesting note to the “sub-story” is that Tom Ridge is a pro-choice, Catholic, Republican who later served as the first Secretary of Homeland Security for the United States. His predecessor as the governor of Pennsylvania was Robert Casey, a pro-life, Catholic, Democrat who was not allowed to speak at the 1992 convention because of his pro-life views. That year, rather than campaign for candidate Bill Clinton, he went on vacation.